A “Blended Family” is as common as what some would call a “Traditional Family unit” in our culture. Ours is a blended extended family and one of the resulting factors is we have an age span difference of eighty-five years within our household. In former eras there were both blessings and challenges attached to the family of multi-generations living under the same roof. In this post I am sharing one snippet from the “blessings in disguise” category. So, it started with a grandparent of ninety years of age, interacting with a five-year old grandchild. They were laughing and playing, as senior adults and young children tend to have this special wave length of fun and frivolity. The rest of us know we can’t quite enter in to their perspective for we are in our middle-aged uptight hyper-responsible to-do list season of life. So, I sometimes watch with wonder. Suddenly there is a little crash. A little expensive crash. Keep in mind that just a few days prior I had resigned a position to an organization with which I had thirteen plus years experience and the financial security that accompanied that scenario. I was beginning to launch a new home-based business knowing that even if it became successful there would be a time interval in which our financial situation would be tight. 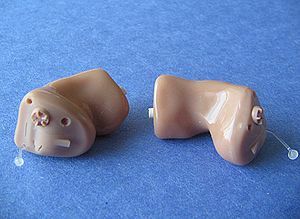 The small piece of equipment that shattered on our laminate floor was a hearing aid. Do you know how much hearing aids cost? My heart sank. Of all times! So the weeks came and went with this grandfather having an extra amount of difficulty hearing, and with me believing that the incident was one of those extra trials of life. I was wrong. We would not have looked into the possibility of the Veterans Administration program’s for Vet’s hearing aids, especially for those whose hearing was damaged by some of the various war-time activities. But because of the situation we were motivated to try this avenue. And the result? New hearing aids are on the way – better hearing aids at that and they will not cost us in this financially strapped season of life! A blessing in disguise, for the hearing abilities in our home of many generations should increase and that will be an encouragement for all. Lord, remind me when I assume that something is a test or a trial, that perhaps it is an instrument in your hand for a blessing in disguise.